Singapore, 28 November 2018 – Southeast Asia’s leading provider of financial literacy gameplay, The Praxis Company, announced today that it has secured an investment from Triple P Capital (“Triple P”), Southeast Asia’s expert financial services ‘profit with purpose’ private equity fund. The investment is Triple P’s first and epitomises the resourceful, and non-traditional approach of the fund, which focuses on delivering positive societal impact and top tier investor returns. “There is growing awareness globally that low financial literacy is a major individual, family and societal issue that limits potential. Praxis brings the critical life skill of mastering money to life via its simulation of financial realities and ensures fun and powerful experiential learning. Every day, Praxis engages players of all demographics to actual knowledge and action. With Triple P’s support, we’ll be able to spread the power of Praxis across the region and beyond.” said Greg Martin, Group CEO of The Praxis Company. Today, The Praxis Company collaborates with financial services firms, schools and universities and corporates. Amongst many others, six of the top ten life insurers in the Philippines and two of the top four life insurers in Thailand incorporate Praxis in their businesses. Over one hundred schools in Singapore have had their students play the game to give children the power to master money. Praxis? was developed in Singapore 15 years ago by a team of financial services professionals and gameplay design experts who share a passion for financial literacy. Through The Praxis Company, the gameplay promotes good personal money management and aims to become the global leader in financial literacy gameplay. Rooted in Southeast Asia with offices currently in 3 countries across the region, the company also works in other markets along the way helping to make a difference in financial literacy for schools, corporations and organisations. Triple P Capital is an expert impact investor in Southeast Asian non-bank financial services. It focuses on high-growth businesses that serve emerging consumers in Indonesia, the Philippines, Vietnam, Cambodia and Thailand. Triple P Capital helps growing businesses by providing expert advice from their team of entrepreneurs, operators, and investors. Narongrith Komsat has over 15 years of experience in financial services, retail and academics. He is currently the CEO of the Thailand division of The Praxis Company. His previous roles span across a range, including - Business Development and Transformation, Channel Strategies, Distribution and Partnership Development, Sales Team Building and Leadership, P&L and Project Management. 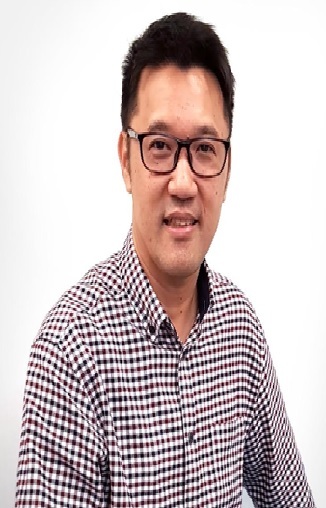 Narongrith joined Praxis in 2018 and since then has led the company’s Thailand operations; in addition to serving several partners and clients across the region. He develops and customises gameplays to serve different sectors including banking, insurance and education. He also certifies GameMasters and GameFacilitators as part of Praxis’ training development skillset. Narongrith began his career in 2000 with American National Insurance before joining Thai Cardlif Life Assurance. In 2007, Narongrith joined Prudential Life Assurance where he assumed the role of Assistant Vice President (2007-2008) and later Vice President (2008-2010). Between 2010 and 2012, he served as a Senior Retail Manager for CIGNA Insurance. In 2012, Narongrith joined Liberty Mutual Group Insurance as Assistant Vice President and retained the position until 2015. Between 2015 and 2016, he worked as SFM for ACE Insurance and then at the Asia Insurance Company as Executive Vice President until 2018. Narongrith holds multiple academic qualifications; namely a Master’s in Business Management (Human Resources), a B.S in Business Management, an A.A in Information Technology. He is also a part of the Fellow, Life Management Institute (FLMI). He is fluent in English and Thai.